Rowhouse Grocery in Point Breeze. A corner store on a mission, Rowhouse Grocery in Point Breeze is a posh yet accessible oasis in a supermarket desert. In too many low-income areas of Philadelphia where large food stores don’t exist, residents have to think of tomatoes and apples as exotic fruit, as hard to find as guavas, rambutans, and whatever else gets piled into bins at such luxe spots as Whole Foods. 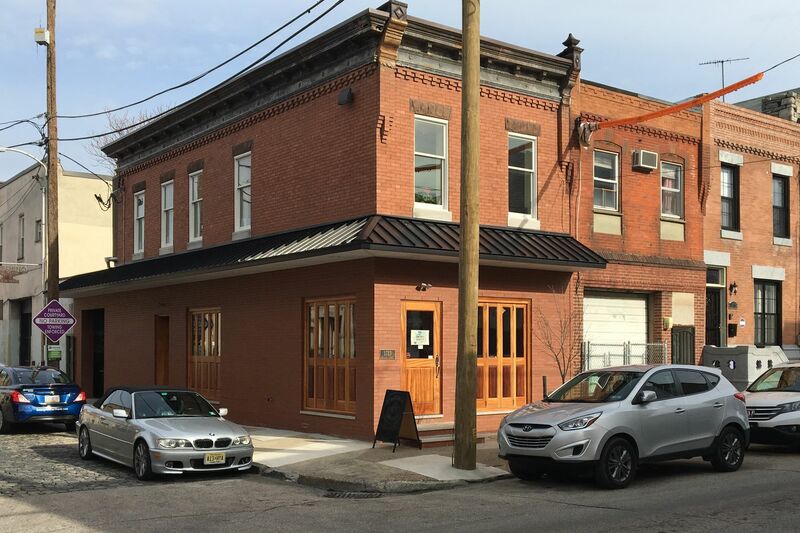 But at Rowhouse, “the general goal was to have a store that provides fresh produce at affordable prices," said Jen Holman, one of the four co-owners of the store, which opened in November. No one can say for certain, but it might be a one-of-a-kind spot in the city. Most corner stores have few, if any, fruits and vegetables, because they spoil too quickly and the cost of the waste is difficult for a small business to carry. But at Rowhouse, two professional cooks create dishes with the produce before it spoils, so Rowhouse can maintain a fresh inventory. The owners also plan to offer catering, so they can reach outside the local community for income, thus subsidizing the items in the store, and keeping prices affordable. Rowhouse is a kind of revolution in a sedate setting — a different way to feed people. It’s also a new way to attack poverty, and to offer healthy options to people who don’t normally see much in typical corner stores beyond salt- and fat-filled food choices that can lead to a lifetime of obesity, diabetes, and heart disease, according to health professionals who study low-income areas. In Point Breeze, in South Philadelphia, one out of every four residents lives in poverty, according to U.S. Census statistics. But the neighborhood is also gentrifying: Median household income rose from $29,342 in 2010 to $37,879 in 2017, federal figures show. So, along with low-income residents, Rowhouse’s customers are also middle- and upper-class neighbors. The store, then, pulls double duty, attracting folks who have a taste for Rowhouse specialty sandwiches such as turkey with bacon jam, as well as those hoping not to pay a king’s ransom for a half-gallon of milk, as is the case in many corner stores. Allie Hauptman, 31, a Rowhouse co-owner, agreed. The food in the well-appointed grocery — featuring hardwood floors and artfully exposed bricks and beams — is so well-priced that some customers have actually complained that they pay too little, said Holman, laughing. The pricing is no accident. The owners did research that showed the nearest supermarket is about a mile away. They also found that there were 3,234 households receiving food stamps (SNAP benefits) within a half-mile radius as of 2015. The goal, Holman explained, was to provide food that could be afforded by a three-member household receiving $382 in monthly SNAP benefits. “We don’t want to charge prices some in the neighborhood can afford but others can’t,” said co-owner Susan Holland, 32. "We want to bring in revenue to operate, but be conscious of what others can afford. Informing the co-owners' desire to create a corner store with equal parts panache and public spirit are well-developed social consciences. For longtime resident Lewis Richmond, 69, a retired Temple University housekeeper on a fixed income, the store seems a bit too fancy to go into, but he plans to maybe buy milk there sometime soon. “I hear they keep prices low,” he said. If the Rowhouse group can get enough catering gigs, the store will catch on and thrive, the co-owners believe. They have plans to make the commodious second floor available to the neighborhood for classes on starting a business, or learning tenants' rights.